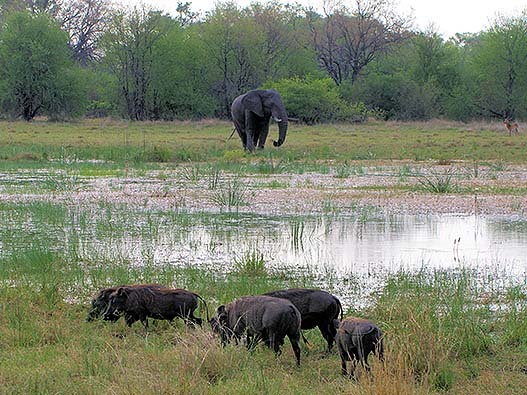 The Northern Explorer, covers Moremi’s best places, in Xakanaxa and Khwai. 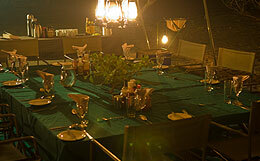 A river Cruise on the Okavango, to give a perspective of this Jewel in the middle of the Kalahari. 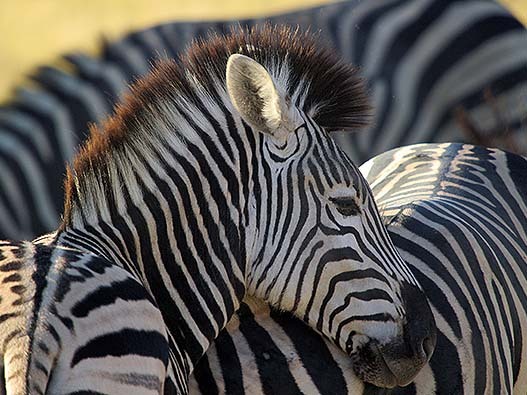 It touches Botswana’s northern highlights and is sure to produce the wildlife experience to satisfy any safari enthusiast. A road journey takes you to Xakanaxa, north western corner of Moremi Game Reserve. The habitat variety of this place makes it home to a large Variety of Antelope, Predator and birds. 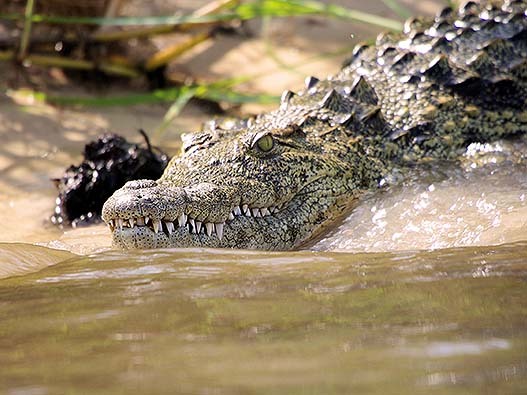 It is arguably, the most pristine area in the entire southern Africa. 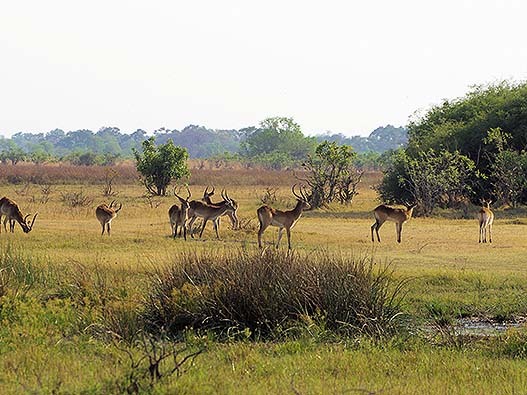 The Khwai area of Moremi, is one of the best places to visit for Wildlife in Botswana, and one of the few places where we can conduct night drives, and Bush Walks (Optional). The Khwai River plays and important role in the eco system and in actual fact is the glue that holds the Life together here. If there is a place with a more dramatic story, it is Savuti. The Savuti River has become world renowned for its mysterious disappearances that stretch over decades and sometimes to a Century. 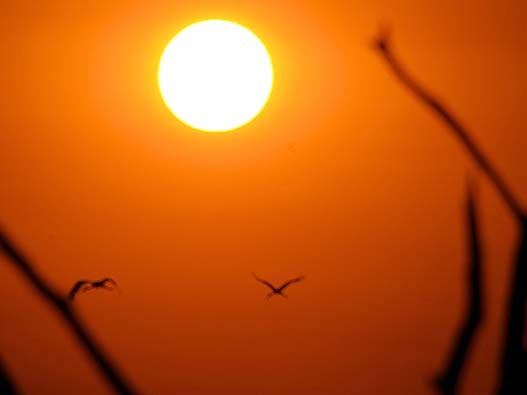 Whatever turn the Savuti River takes, the dramatic change in Savuti, is like night and day. The River has just returned transforming Savuti, yet again to a Paradise indeed. 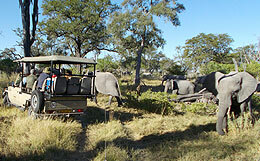 We end Botswana with sometime on the Chobe River Front which is home to the world’s Largest Elephant Population. The River cruise here is delight, adding a sweet variety away from the bumpy bush roads. A short trip across the border takes you to the magnificent Victoria Falls. 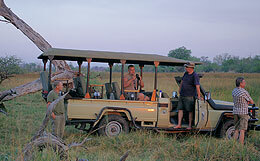 There is a wide variety of activities here, to add on to the memorable safari. 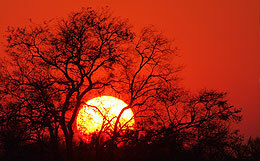 Time must be managed very well so one can enjoy most of the Activities offered in Victoria Falls.